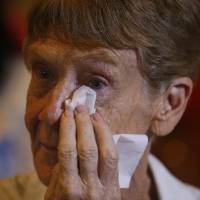 MANILA - She spent decades helping the Philippines’ poorest people, but Australian nun Patricia Fox is fighting deportation after drawing President Rodrigo Duterte’s ire — and says she will try to return even if expelled. The 71-year-old Melbourne native is due to be kicked out of the country by May 25 after Duterte personally accused her of political activism that violates the rules of her visa. Fox was singled out as Manila cracks down on foreign critics on its soil, where the president’s deadly anti-drug war has provoked a storm of international condemnation. The government deportation order against her sparked outrage from rights advocates and the religious community, but authorities are pressing ahead. 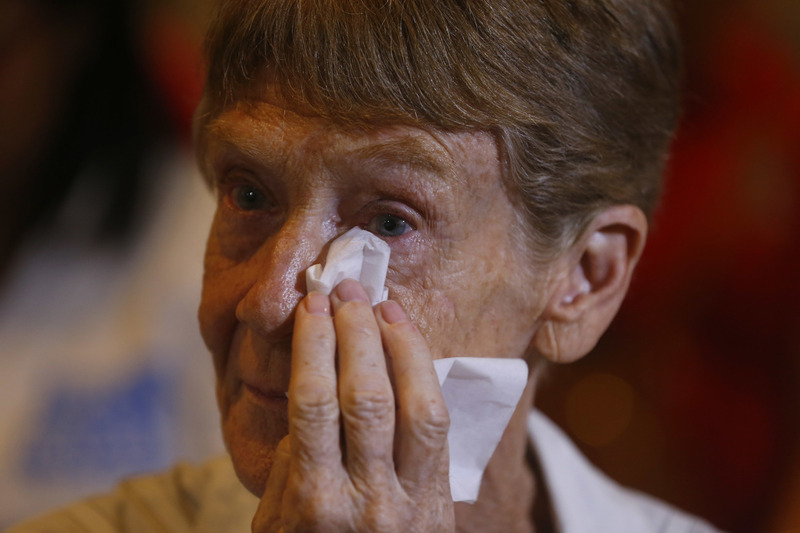 “I’m still hoping that somehow something will happen (to stop the expulsion),” she said in Manila. Even if her appeal fails, Fox said she would still like to return and resume her work in the nation that has been home since 1990. 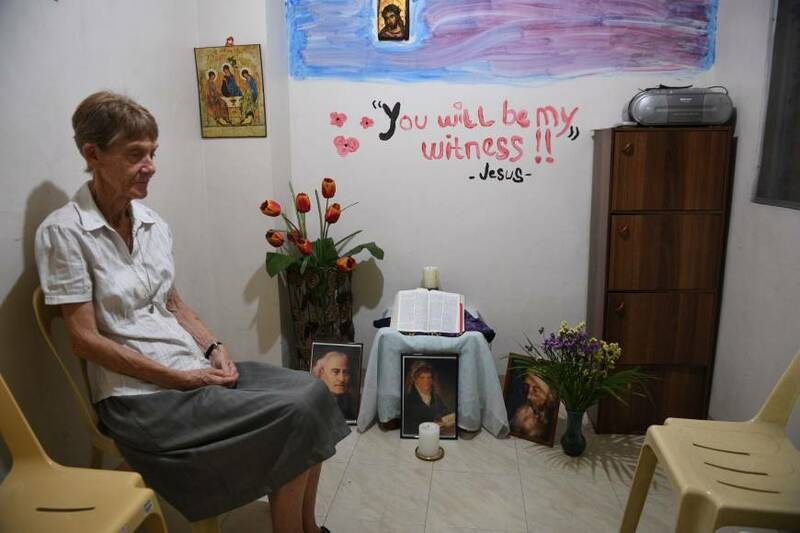 She landed in the Philippines as a member of the Sisters of Our Lady of Sion, a congregation of nuns founded in France in 1847 and famed for harboring Jews fleeing from Nazi persecution in World War II. A former practicing lawyer who worked with destitute clients in Australia, Fox said she has been educating landless Filipino farm hands and factory workers about their rights. Then on April 16 immigration service agents arrived at the congregation’s modest Manila office. Fox, the country head of an eight-member missionary group, was hauled off to the government agency’s headquarters, where she was informed of the allegations. She said she spent the night on the floor of the immigration service building, lying on a borrowed blanket and getting little sleep. 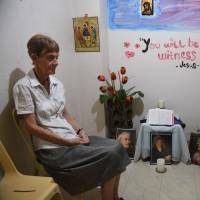 The nun said she apparently angered the president by joining a fact-finding mission in April to investigate alleged abuses against farmers, including killings and evictions by soldiers fighting guerrillas in the southern Philippines. In Duterte’s hometown of Davao, Fox went to see farmers detained on charges of possessing explosives, and attended a news conference by workers who were fired after demanding better wages and conditions. “I gave a solidarity statement saying the social teachings of the Catholic Church say you have the right to unionize, you have the right to just wages, you have the right to security of tenure,” she said. Fox said she thought she was safe in espousing a pet advocacy of the president. Duterte vowed during the 2016 election campaign to end the common corporate practice of hiring workers on five-month contracts to avoid paying benefits enjoyed by permanent employees. Yet hours after Fox’s release, Duterte announced he had personally ordered her investigated as a warning to foreigners who criticize his government. Earlier in April, Manila also deported Italian Giacomo Filibeck, deputy secretary-general of the Party of European Socialists, who had condemned Duterte’s anti-drug crusade. For her part, Fox said she has been quiet on the narcotics crackdown, a sensitive point that usually draws a response from Duterte. “Presidents can say what they like, but you know I’ve never met the president. I don’t remember saying anything in public about him,” the nun said.